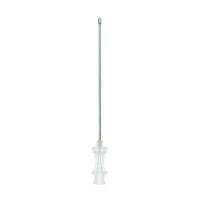 Irrigation cannulas are used for applying or aspirating liquids when cleaning wounds. Depending on purpose of use, irrigation cannulas are available as straight or bent and have a Luer connector for use with all common disposable syringes. 84,35 EUR* Not ready for shipping. Reserve today and we will ship as soon as possible. The irrigation cannula is completely made of metal, which means it can be easily disinfected and sterilised, whereas a disposable cannula cannot. The rounded tip of the irrigation cannula has an opening through which liquids can be applied or aspirated. 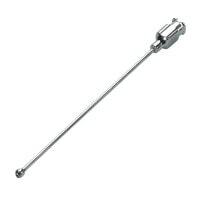 Typically, irrigation cannulas are used for wound cleaning or for aspirating liquids from open wounds. 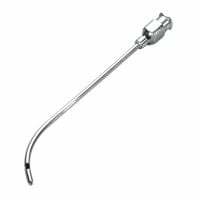 The bent irrigation cannula is recommended for use with angled wound holes. Irrigation cannulas often come into use in the dental practice, although they are also applied in other disciplines such as the ENT. 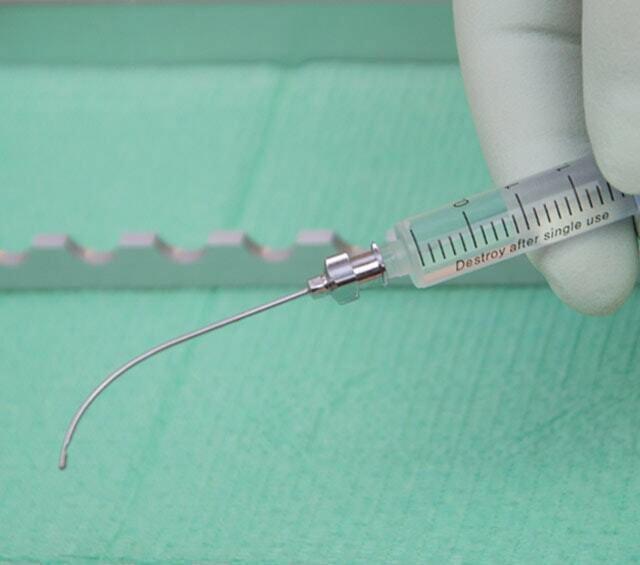 The Luer connector makes irrigation cannulas useful with all common disposable syringes. In the category «Cannulas» you will find other standard and special cannulas at affordable prices.